Haven't done one of these in a while. Hopefully I answer some questions that you have in mind. The questions below are pretty much FAQ. Q: Will NIKRA have multiplayer? A: I've been asked this SO many times. And as honest as I can put it: I really don't know. I never really intended for NIKRA to have multiplayer, and also, I'm not too great at web-related programming. It's just one of those things you would have to put in at the START of the game development. I'm atleast 20-30% finished! and adding something like multiplayer would screw up everything. Q: Is ENDESGA Studios making any other game? A: At the moment, no, we're not. I do have some ideas that could become games but, I don't have any intention to make another game until NIKRA is finished. Q: How do you pronounce NIKRA? 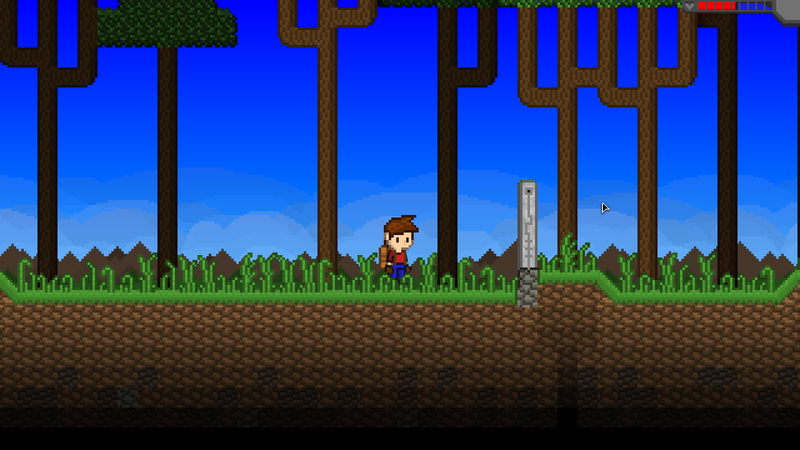 Q: At the moment, NIKRA looks like Terraria. What's going to make it stand out? A: Well, I personally think it's unfair to compare an unfinished game to a well-known finished game, like Terraria. NIKRA is FAR from finished. The controls, UI, inventory, and the overall gameplay is VERY different to Terraria already, and I guess it's hard for people to realise this since they can't play it yet. I think (and hope) people will see it as a different game compared to Terraria/Starbound. Also, NIKRA has a massive story which I've been writing. This story will be part of the game, but at the moment, people are just seeing the block-based terrain engine and instantly compare it to Terraria. Q: What was something that initially got your interested in making games? Iiem totems are now in the terrain generator! What was something that initially got your interested in making games?